Wherever their recital work takes the ensemble, a commitment to schools goes with them. A typical day sees the group giving a number of short schools concerts or workshops, followed by an evening recital. Onyx has commissioned not one but two pieces for primary school children’s choir. The first is by Bob Chilcott and called A Sporting Chance. Each movement of the piece describes a different sporting discipline, including sprinting trumpets, a soccer rap and an ice skating trombone! Along with them an optional set of dancers and actors from the school may participate. The whole day is then directed by an highly experienced animateur and will include a performance to parents at the end of the day. An introduction to brass instruments is included as part of this package. This highly successful project began in 2000 in conjunction with Making Music (formerly National Federation of Music Societies) and toured over the U.K. After gaining sponsorship from ING Barings, Onyx repeated the project to great acclaim in schools within the London Borough of Hackney. In 2013, Onyx commissioned the composer Tim Jackson to write “Opening Night”, a piece based around different ideas performing. Each movement puts a famous poem to music and asks the children to get in the minds of people like “Conjuring Kevin” and asking why “My teacher sings the Beatles”. Demonstration performances are part and parcel of an Onyx day. We are keen to help schools and music hubs/local authorities to recruit new players. A passion for brass is the message that we try and get across as well as lots of fun games and exercises to help get the message across. Onyx have been invited to a large number of schools of the many years of its existence. The group offers coaching primarily to the school brass players with the hope of performing with the students in the feature concert of the day. We have a variety of different larger-scale pieces in order to suit the differing standards and abilities of school brass players. This can be of huge educational value – the idea of playing alongside a professional and learning from them as the music is taking shape. We have carried out days like this in recent years at the following schools: Eton College, St. Paul’s Girls School, Ardingley College, Bradfield College, Sherbourne School, Radley College (former ensemble-in-residence), Westminster Abbey Choir School (former ensemble-in-residence), Bryanston School, Millfield College to name but a few of the many we have visited. A large portion of these schools ask us to run “Prep/Primary School Outreach days” where local junior schools are invited to send their young brass players for a full day of Onyx fun where they get to experience the facilities and grandeur of a big secondary school. These days have had some excellent feedback over the years as well as boosted brass recruitment in the secondary schools. Onyx has also visited Junior Departments of the Royal College Of Music and The Royal Academy of Music as well as given a masterclass to the brass players of the National Youth Orchestra of Great Britain. 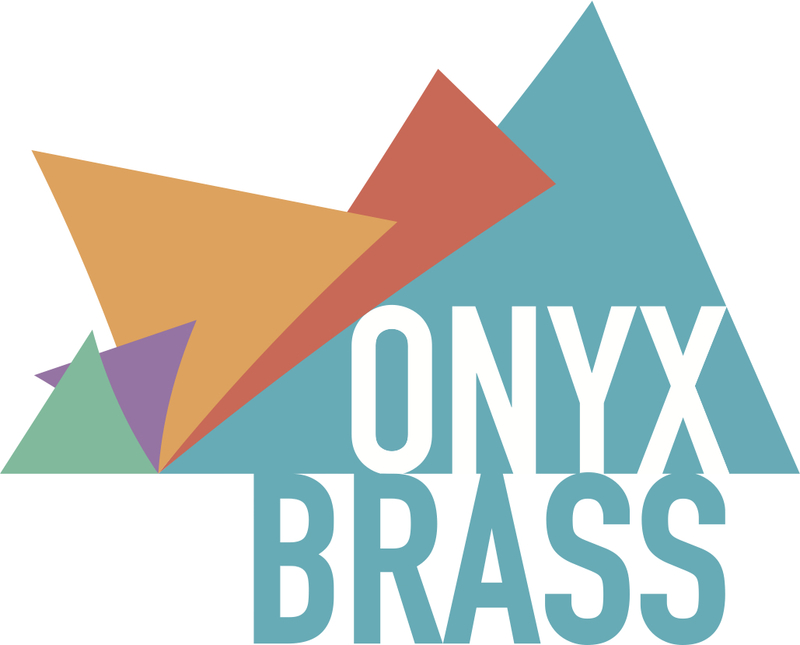 Onyx Brass are also very active and experienced in the field of music education, having conducted workshops and master classes for a huge range of people. They have directed educational days at the Royal Scottish Academy of Music and Drama, the Guildhall School of Music and Drama, Royal Welsh College of Music and Drama. International highlights were the invitations to host masterclasses for students at The Julliard School, New York, The Boston Conservatory, The University of Washington and, during the ensemble’s 2006 Tour of the USA. More recently, they have visited the Lisbon Conservatoire and the University of Newcastle. The success of these sessions can been seen from the comments on the press page. For details on the contents of an Onyx educational visit please contact us.